Another plastic framed sewing machine came in for service today. 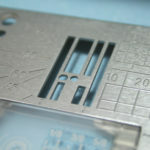 We’re not going to share what brand it is, but you should know that this is the kind of poor quality you can expect if you purchase a really cheap sewing machine. The trouble is, I’ve seen customers bring in plastic framed sewing machines that they paid a lot of money for. Be assured, Temecula Valley Sewing Center has never, and will never sell sewing machines that do not have metal frames. 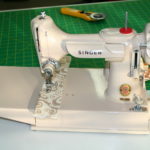 The real problem with a plastic framed sewing machine is that it can flex and allow the needle to move forward or rearward, which changes the distance that the needle is from the hook, and in many cases causing the hook to strike the needle and break it. 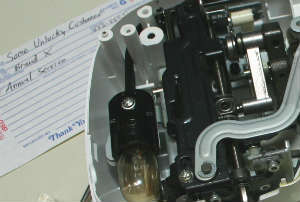 If flexed to an extreme, the needle may even strike the needle plate. Everybody wants to get a good deal when they’re buying a sewing machine, but sometimes that good deal is a little too good to be true. I agree. 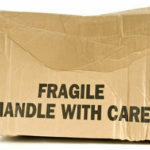 No plastic pretenders!! I think it's great that you have given away 4 machines to the young girls. 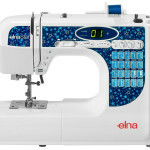 I also think it's unfortunate that your local sewing machine technician is not capable of fixing the Elna. Yes, I understand he said that it would cost more than the machine is worth, but in my experience that's just a line used when the technician lacks the experience to do the job, or the shop just wants to sell you a machine. I'm not saying that's the case here, but I've had numerous customers bring their sewing machines to me with similar stories, and I was able to fix them at very little expense. Please understand that there is a difference between a plastic framed machine, and one that has a metal frame on the inside but has plastic covers. There are actually a lot of great machines with plastic covers. I just saw this article after posting the other comment. 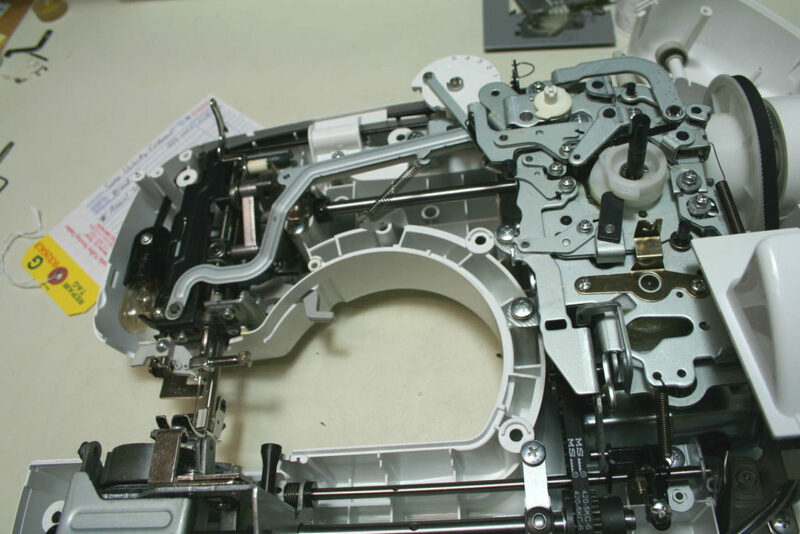 Do you have any advice for customers on how to spot a machine that has a good interior metal frame? Like you said, the exterior is often plastic, when I get, but how is a non expert suppose to know without opening up the machine? On purpose, and perhaps for legal reasons, we didn't want to mention the name of any specific manufacturer that makes plastic framed machines. 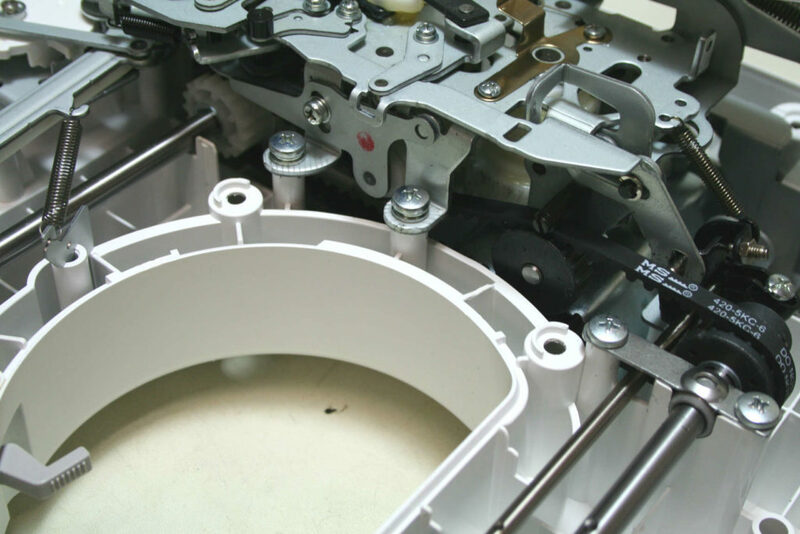 All Janome machines have a metal frame, so that's something to know. Also, the heavier a machine is the less likely that it has a plastic frame. 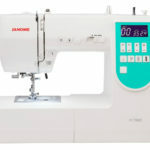 If you're looking at a machine that weighs less than 15 pounds, and if it's not a Janome, then you might be looking at a machine with a plastic frame. If you want to talk about machines, give me a call sometime. (951) 694-9576. 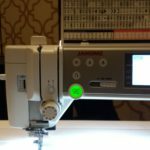 I bought a used Janome sew precise machine for $20 but it needs a tune up that will cost around $65-$70. 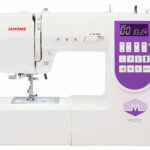 I also found a Janome hd3000 that's 11 months old for $250 do you think the hd3000 is a better machine than the sew precise? Not necessarily. If they were both brand new, I think both machines would be somewhat comparable.